Sleepy doc: Well Sir, did you actually see what bit you. Sleepy Doc: what sort of doctor are you? The Doctor: well I watch many medical shows……and I have read the first two chapters of that medicine book….I can’t recall the name though….. Patients who inspire me daily……..ummm no!!! Mr. One minute man: Doc, I seem to have a problem when I drink. Do you understand what I am talking about??? Mr. One Minute man: Well when I drink, my girlfriend tells me that I cant satisfy her. Patient apparently attempted to rob some people, they caught him in the act, beat him up and held him down until the police arrived. He then proceeded to charge the same people with assault and came to the hospital for his bruises to be documented……. Needless to say I was mad!!!! When you are tired…you just may make the same mistake. I received a referral while working in the ER a few nights ago. Part of the referral really had me cracking up. After we had a good laugh at my colleague, a little while later I noticed a group around the nursing station also laughing heartily. Unfortunately, I made the same mistake in my notes….. But I definitely brought some pictures back to share with you. I think that one thing that everyone should do is TRAVEL!!!! Travel as much as you can, whenever you can. I have worked hard through medical school and beyond…..it is time for me to have FUN!!! !……..when I can…hehehe. 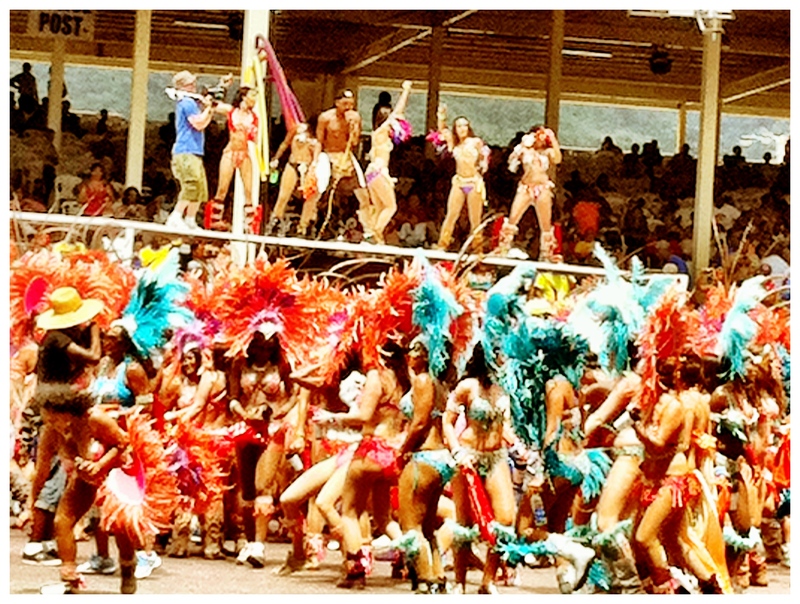 So for this trip, I decided to take in Carnival on a Caribbean Island…..it was breathtaking. 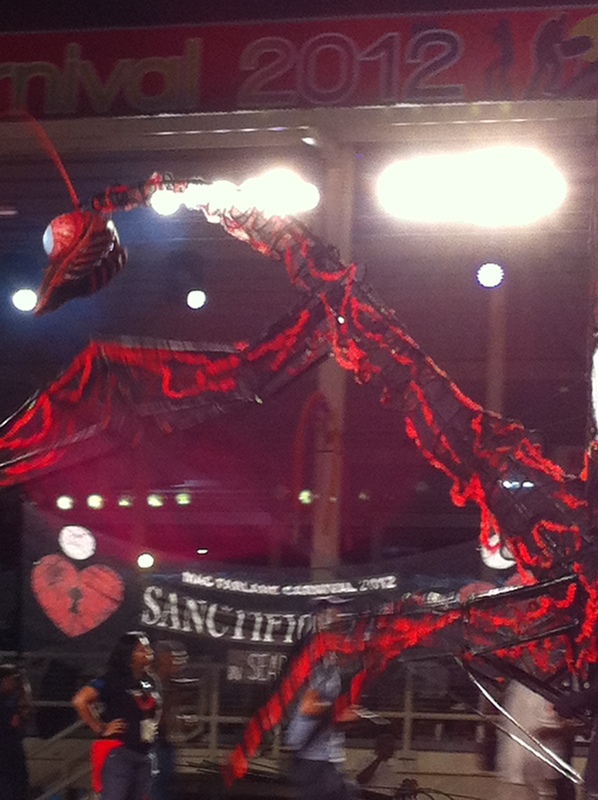 I had to share some pics…. :) Enjoy!!! This guy either painted on his muscles or they were really his….he looked great either way!!! 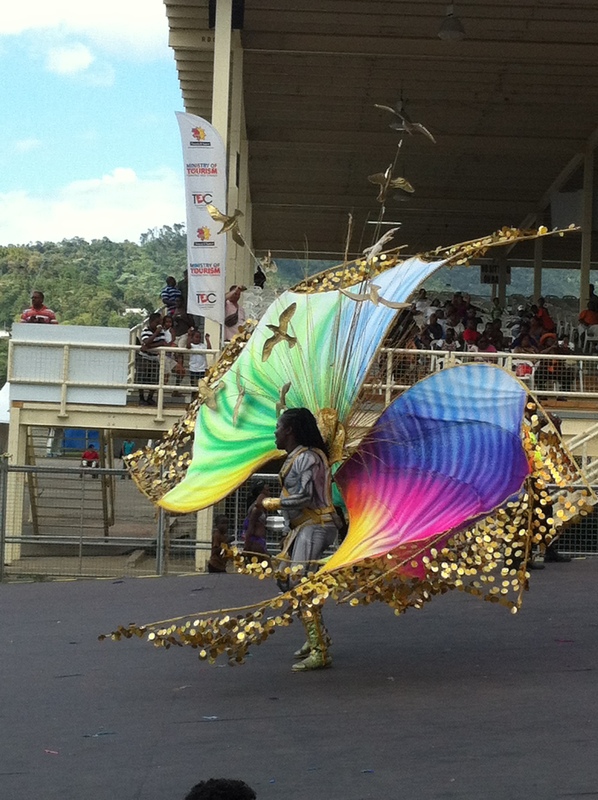 She won ‘Queen of Carnival’. 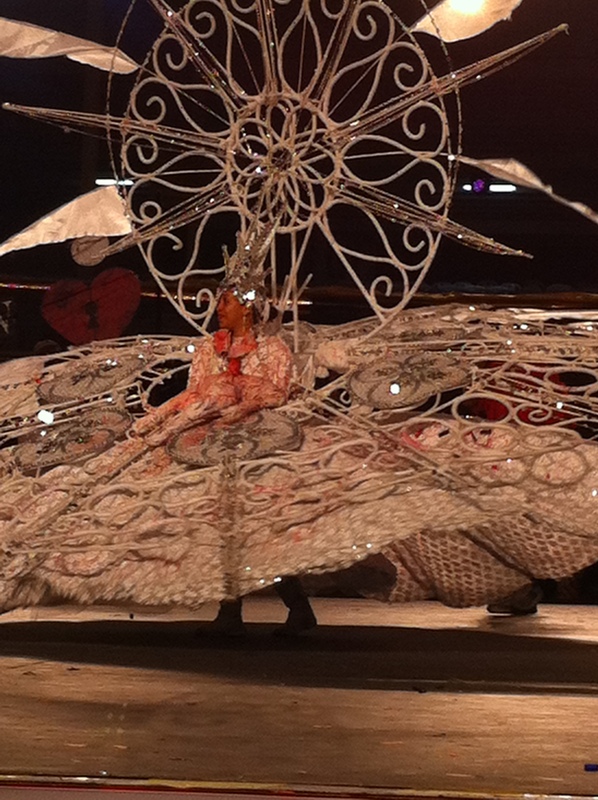 This picture does not do her justice at all…. This character was really a sight to see…..I may return here again next year for sure. I am in a New York state of mind currently. It is vacay time for me and I am being very greedy about it. Walking about NY like a tourist and taking lots of pictures. Also eating any and everything that I can get my hands on. There will be alot of yoga and gym time at the end of this holiday……. See you guys in a few days….I will have pics. So one thing that was always told to me during my clinical years as a medical student, was that I needed to always be careful what I said whenever in the hospital because ‘you never know who might be listening’. Well only saints are always on their best behaviour. I remember distinctly during the first week of my ER sub-I, while walking through the ER, another 4th year says to me that we have a lecture to go to. I let out a sigh, as the last thing I wanted to have to attend was some boring lecture, especially when My sub-I was being done in the ER of a level 1 trauma hospital. I said as such. I totally forgot that I had yet to see the physician who ran the ER. When I entered the lectue hall for the lecture, it was a small group of us, only the 4th years. Who could I see as the lecturer but someone who had been standing close to me earlier on when I had aired my displeasure of having to attend a ‘boring lecture.’ She smirked when I introduced myself. I was thinking….I am sooo screwed…….. Things actually didnt go so badly…..but I did still get PIMPED like hell….. So to medical students out there. Always keep a smile on your face when you are at the hospital and keep unpleasant comments to yourself. Noone needs to know how bored, tired or irritated you are….. I was lucky that time, I could have been in alot of trouble otherwise….. Whenever I am in the Emergency Room and a critical patient comes in, one important attitude that I adopt is a ‘watch-dog mentality’. Basically you quickly start to take care of the patient, figure out the diagnosis and formulate treatment plan and goals…….but the plan must be carried out in order for the patient to have a successful outcome. At the same time, you may also have other patients who need your attention. You are basically multi-tasking patients. And you can’t forget it…always keeping the critical patient in mind.